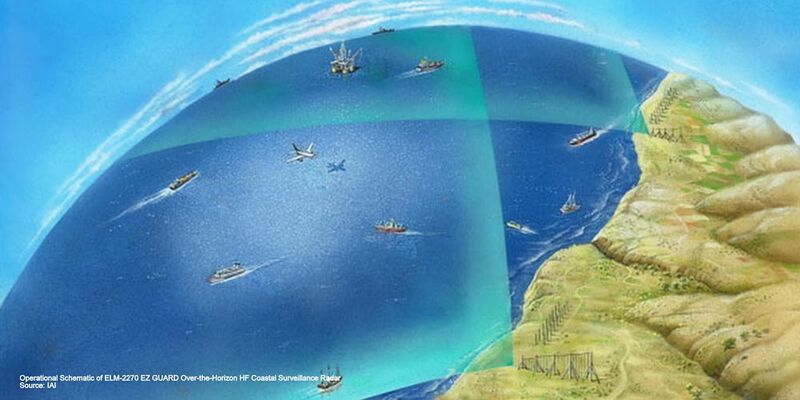 According to local media reports (said on March 20, 2019), Israel and Greece are jointly planning to build a US$ 8 billion "Long-Horizon" over-the-horizon (OTH) radar system on the Greek island of Crete in a bid to watch the Eastern Mediterranean basin. Israel’s existing radar systems already allow the country to surveil Turkish territory in the Mediterranean and southeastern regions, but with the proposed/planned "Long-Horizon" OTH radar system, Israel’s capability to monitor Turkey will increase two-fold. According to a report, the new radar system is capable of monitoring a 600-kilometer radius area (for 24x7x365) which will include Turkish airspace as well as vessel movements (surface-based) across the eastern Mediterranean basin, supported with a range of unmanned aerial vehicles (UAV). This area corresponds to the region covering Cyprus, a part of the Aegean Sea extending over to the Dardanelles and the whole Aegean and Mediterranean regions of Turkey. The talks on "Long-Horizon" project first emerged during Greek Defense Minister Panos Kommenos’ trip to Tel Aviv in 2015 but was suspended temporarily due to Greece’s deepening financial crisis which eventually led to its bankruptcy in the same year. As the agenda shifted towards the newly-claimed natural gas resources in the eastern Mediterranean in the offshores of Israel, Egypt and the Cyprus island, the project once again came on the front burner. And, it seems that this news is a kind of confirmation of Israel's Second Option (as discussed by IndraStra team in the year 2015) — in the form of the "planned construction" of a 1,900-kilometer-long underwater EastMed Natural Gas Pipeline in the eastern Mediterrane - connecting Israel (Tamar and Leviathan Gas Fields), Cyprus (Aphrodite Gas Field) and Egypt (Zohr Gas Field) with mainland Greece via Crete, where the IGI interconnector will link it to Italy. The proposed pipeline is also supported by the European Union (and the United States) as part of its Southern Gas Corridor (also known as Southern Energy Corridor) designed to diversify its energy sources and thus boost its energy security and independence, a policy seemingly designed with large natural gas supplier Russia in mind. Both countries mainstream media dailies — Kathimerini (Greece) and Haaretz (Israel) — has reported the growth of the relationship between Jerusalem and Athens in recent years, with military and economic issues being paramount in these ties, with particular attention paid to both countries’ gas reserves. Currently, Israel has ELM-2270 EZ GUARD Over-the-Horizon HF Coastal Surveillance Radar based on proprietary phased array technology. ELM-2270 (developed by IAI in cooperation with the Brazilian company IACIT) uses HF surface wave propagation and unique noise cancellation techniques to cover large areas at sea, detecting targets well beyond the horizon, covering 200+ nautical miles (230+ miles or 370+ kilometers) from the shoreline. The system transmits a wide angle beam, simultaneously covering 120° in azimuth, while the receiving section comprises of one or more arrays of vertical antennas which provide instantaneous coverage of the entire sector. Linked into a network of several OTH sites and other sensors, this OTH radar system amplifies the efficiency of a surveillance coverage in detecting and tracking maritime and low-level aircraft activity throughout the exclusive economic zone (EEZ). But it is yet not revealed, what type of Israeli OTH radar system will be deployed at Crete.